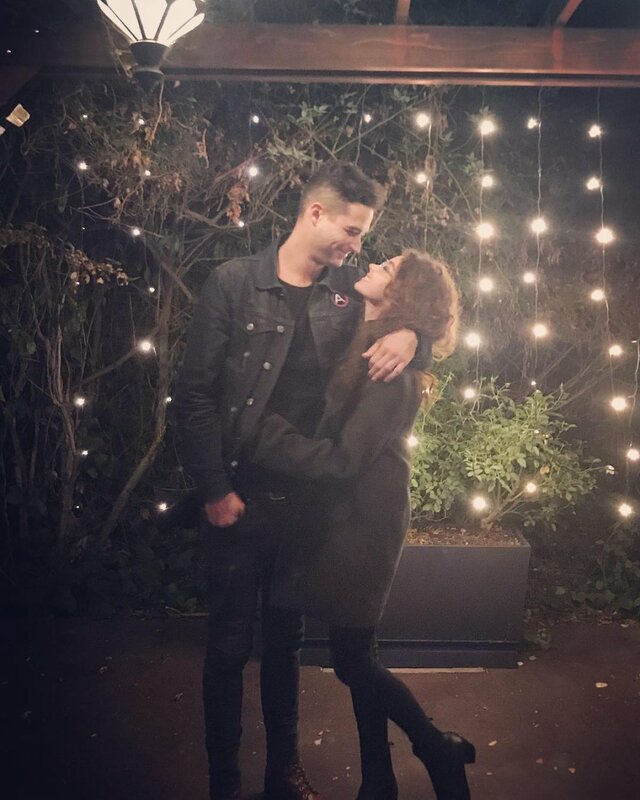 Sarah Hyland and Wells Adams appeared to confirm their relationship by sharing a sweet moment together in a photo on Sunday. The 26-year-old "Modern Family" star and 33-year-old "The Bachelorette" Season 12 alum were all smiles during a date night, as seen in a picture Adams shared on Instagram. "Back lit AF," he captioned a snapshot of himself and Hyland beaming while gazing into each other's eyes. Hyland posted a photo hours earlier of herself and Adams goofing around. The picture shows the actress making a face and sticking her tongue out as Adams gives a grin. "He puts up with me," Hyland wrote, adding a smiley face and a heart emoji. "The Bachelor" and "Bachelor in Paradise" alum Danielle Maltby, who was previously linked to Adams, was among those to react to Hyland and Adams' posts online. Maltby voiced her support for the pair in a comment on Hyland's photo. "@alissab6 are you kidding me?! I ship this couple SO hard! I've never seen Wells so giddy and happy! Try spreading some love instead of knocking down the cutest and most genuine coupling I've seen in a long time," she wrote. Hyland and Adams were first linked in October after they celebrated an early Halloween together. Sources told Us Weekly the stars have "seeing each other for months," while People confirmed the pair have developed a romance. "They've been friends for a while and now they've been hanging out and spending more time together," an insider said. "They're flirty."